RADIO STUDENT is based in Ljubljana, the capital of Slovenia, until its declaration of independence in June 1991 the most developed republic of SFRJ (Socialist Federal Republic of Yugoslavia) and the member of EU since 1 May 2004, bordered by Italy, Austria, Hungary and Croatia. The Radio Student FM signal covers the area of about 900 km2 with the population of about 500.000, what is a quarter of the population of entire Slovenia. According to the latest surveys, there are about 15.000 regular listeners and 80.000 - 120.000 occasional listeners of Radio Student. Radio Student is one of the oldest and biggest European non-commercial radio stations. It started broadcasting its programme in 1969, when it was founded by the Association of Students of the University of Ljubljana, which was eager to present local students, who had also woken up during the turbulent year of 1968, a medium “that will provide them with proper information”. However, from its beginnings Radio Student has been one of the few local asylums of alternative indepedent journalism and the only electronic media open to new waves in various fields of culture. In the 70’s it was most widely listened to because of the music it broadcast. It was the first radio station in the region to introduce and play extensively progressive rock, soul, ECM jazz and new jazz. It was also the first wider regional radio station introducing D.J.s, who presented and reviewed the latest high quality alternative musical releases. The explosion of punk rock and indepedent musical production of the late 70’s and the beginning of economical and political crisis in Yugoslavia in the early 80’s gradually shifted the primary attention of Radio Student to social and political issues. The 80’s were a period of the quick rise of the highly and widely respected Radio Student practical school of journalism, which does not only lay emphasis on bringing down the walls of the taboos and on freedom of speech, but also on the journalist's ethic principles. The reputation of Radio Student in the wider Slovene region has been always high also due to its specific school of announcers (who have always added strong personal flavour to the programme moderated) and sound technicians (who also give significant personal touch to the programme by their hilarious use of radio jingles and their vivid interest in radio puns and hoaxes). 9 May 1969 – Radio Student is born in the basement of the block VIII. in the Ljubljana university campus, broadcasting its three-hour-long (from 12 a.m. to 3 p.m.) daily programme on an old 75W AM transmitter, placed at the top of the building and reaching mainly the audience in Ljubljana. 9 May 1978 – Radio Student is the one of the first local radio stations in the former Yugoslavia, which have acquired an FM transmitter. Its stereo signal covers central Slovenia. Its broadcast times are between 11 a.m. and 3 p.m. daily and between 8 p.m. and 12 p.m. during weekends. 1978 – 1988 - Broadcast time is gradually extended to 64 hours weekly. Summer 1988 - hot and intensive period of “ the Roska case", a political trial of Yugoslav National Army vs. the group of three Slovene alternative journalists and an army "mole", marking the beginning of the end of the Communist regime in Slovenia. Covering it extensively from the start Radio Student becomes extremely popular for its immediate response and non-conformist stand and has a strong influence upon the development of events and the general democratization of Slovene media, thus giving an important contribution to democratic changes in Slovenia. 24/25 December 1989 - Radio Student is the first radio station in Yugoslavia to broadcast live a Christmas Mass from the Ljubljana Cathedral. May 1990 – Radio Student starts transmitting 24 hours a day. Aware of its widely recognized national significance, it tries to obtain authorization and transmitters to cover most of Slovenia, but it is not successful in his efforts. June/July 1991 - During the ten-day-war for the independence of Slovenia Radio Student broadcasts its exclusive program and sends its own, first-hand information about the events to the growing independent radio network in Yugoslavia. 1991-1996 - During the period of civil wars in Croatia and Bosnia Radio Student obtains first-hand information from its network of correspondents and the network of independent radio stations. It is also the only media in Slovenia with a regular weekly programme in Serbo-Croatian language, dealing primarily with the issues of refugees from the war-torn regions and their constant fight for survival. 18 September 1994 – AMARC, the international non-profit association of community radio broadcasters from all around the world forms its European section, named Association Mondiale des Radiodiffuseurs Communautaires (Europe), at the Founding Assembly in Ljubljana. Radio Student is its founding member and takes an active part in the AMARC activities. 1994/95 - With the explosion of local, private and commercial radio stations (over 80! 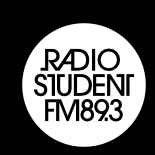 ), Radio Student searches for its own new identity in the democratic environment by (re)establishing itself as a primarily alternative cultural and educational radio station and also as a radio station that is open to presentation of taboo themes and is always on the side of the under-dog when commenting upon social, national and cultural conflicts. 13 February 1997 - Radio Student moves to new, more extensive premises on two top floors of the new block XIV, but still preserves the character of an alternative, unconventional and non-commercial radio station. 6 May 1998 – Radio Student starts broadcasting its live programme in the Real-Audio technique on its home page on the Internet and can be heard all around the globe. Radio Student broadcasts non-profit student radio programme. Apart from creating and broadcasting educational, art, information and musical programmes, Radio Student puts a great emphasis also on the education of its young contributors - future journalists, sound engineers, D.J.s and announcers - for the radio work. Radio Student is an independent medium. At Radio Student there are four full-time employees, the heads of its management, marketing and technical maintenance. They are joined by over 200 regular contributors: journalists, art and music critics, D.J.s, announcers, technicians,.... The majority of them are students and a number of them are highly respected intellectuals, journalists, artists and university lecturers. Radio Student is a non-profit, urban community (covering diverse cultural & social strata) radio station. Its primary objective is to promote and investigate the generally ignored issues faced by the student community and marginalized social and cultural groups. By doing it it also educates its listeners. Since its beginnings Radio Student has been promoting tolerance, respect for the difference of opinion, freedom, truth, solidarity, multiculturalism,... The promotion of the values mentioned above is carried out at two levels: at the educational one (not only on the level of education of listeners, but also on the one of authors) and at the practical one, as Radio Student acts as a mirror to the Slovene society, in which it can check to what extent it is ready to accept the widely proclaimed values in reality. The basic principle of Radio Student editorial policy is to present items of information, art forms and music overlooked or ignored by other media. Considering its musical concept, Radio Student is basically an 'indie' music radio station, which does not conform to global music industry trends and inspects closely and presents fresh, non-conformist waves in alternative popular musical genres: post hard-core, techno, hip hop, blues, jazz, world music, experimental and contemporary music. Radio Student maintains a similar non-conformist approach in relation to socio-political issues. The primary principle of Radio Student programme policy is in creating programme which does not conform to the taste of an average passive radio programme consumer, but tries to present its audience serious themes in all the fields of creative expression. In its mission, Radio Student follows the principle of autonomy by keeping a critical distance towards all sources of power (political, ideological, religious, financial, etc.) thus promoting human rights of individuals and groups in their struggle with alienated and bureaucratic institutions. Radio Student covers events related to the civil society, state and politics, culture, music, the humanities, the University and activities of the Student Organisation. It covers politics particularly as regards the collision of political interests with human rights and freedom of individuals in the new democratic society: Radio Student speaks for the principles of free speech, tolerance and solidarity. Through its programme, Radio Student supports the right of minorities and marginalized groups, and it safeguards the cultural and linguistic diversity. With respect to the events in the fields of culture and music, special attention is paid to topics which are not covered by other media (because of the commercial uniformity of the media environment) but deserve media attention. The programme policy combines the main characteristics of the community radio with those of the public open channel. As a community radio, Radio Student's programme is dedicated to specific target groups of young people, students and intellectuals, while as a public channel part of its programme time is devoted to civil society groups and initiatives. In short, we promote marginalised themes which, owing to the commercial uniformity of the media environment, cannot find their place in other media, but deserve to be presented on account of their quality or significance, be this in the field of music, culture or social analysis and criticism. Finally, throughout its programme Radio Student supports the right to communication and to a free flow of information and beliefs; it stimulates a creative manner of expression; contributes to the democratic processes and pluralism of our society and stimulates the development of a better understanding in support of peace, tolerance, democracy and progress. Furthermore, the social segment of the programme of Radio Student does not only entitle journalists to present civil society groups, but on Radio Student's airwaves these groups themselves can express their opinions and views and are thus given the possibility to directly present their activities without intermediaries or censorship. Moreover, volunteers are also welcomed to contribute to the programme and their work is specially appreciated by everybody. The morning programme of Radio Student is principally linked to its project work. Its live daily programme starts at 11 a.m.. Period between noon and 1 p.m. is taken by the radio and local community talking heads, always ready to state their alternative views and entertain at the very same moment. On workdays at 3 p.m. Radio Student presents its OFF – local and international political news and commentaries, music and art reviews. 6 p.m. is reserved for the radio interviews with prominent names from alternative musical and cultural fields. Every day at 7 p.m. Radio Student presents one of the records from the current non-commercial discographic production. Radio Student evening programmes are principally reserved for D.J.s from various musical fields, ranging from underground rock & metal, techno, funk & rap, etc. to world music, blues and jazz, etc.